With the challenges that end of tenancy cleaning presents, it is no surprise that very few companies are up to the task. There are very high standards set within the industry and it is unacceptable to perform under that, least the cleaning agency is regarded as unreliable. That is exactly why we, at FastKlean, remain devoted to perfection. It is through maintaining such high standards of work and established solutions that we constantly try to improve. We have remained a solid pick as a cleaning company, especially in the field of end of tenancy cleaning. We can achieve the impossible for our clients and that is the reason the UNITE Group plc have entrusted us with what seemed to be an enormous feat – cleaning all of the rooms and kitchens within a single weekend. 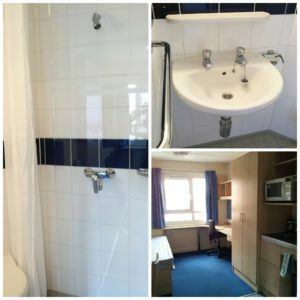 Time alone is not the only limitation, as each of these must be cleaned to perfection, to match the high standard of the hostel rooms. Despite what seemed like an impossible challenge, FastKlean did it! We owe our great success to the expertise and motivation of our cleaning staff. With years of experience and perfectly developed techniques, our cleaners managed to get the job done without missing a single detail of the entire end of tenancy cleaning package. The kitchens, living rooms and bathrooms were transformed within a day from the sorry state they were in to perfection – as if they are brand new! 60 cleaners managed to get 200 rooms and 30 kitchens cleaned within a single day! That was followed by organising 70 cleaners on the next day to tackle 100 more rooms and 25 kitchens. Mind you, this is not a quick dusting and mopping off we are talking about here, but rather a one off deep clean, which comes with notable results and needs to follow our established standards. It is by doing such a great job that we have earned the respect and continuous trust of UNITE Group plc. For 5 years straight we have remained true to our statement that we can handle impossible odds and deal with the job like true professionals. Our company would like to thank the dedication and professional attitude of the cleaners, enlisted for the job. Without their efforts, none of this would have been possible! We are sure that it is the motivation of our team that keeps the work going and we intend to do anything in our power to retain that. What this means for our clients is that they will always be provided with friendly personnel, who can handle the most demanding chores with ease and expertise, such as the outlined end of tenancy cleaning tasks. Professional cleaning feats have reached new heights – FastKlean is at the forefront of these demands. With us on your side, you will see what it is like to have the cleaning aspect taken care of in the best professional manner.